If you are an elder law or special needs law attorney you know that trusts can be a maddening, frustrating and intimidating topic to master. What makes it worse, if you are trying to build a great practice and offer cutting edge advice to your clients you know you have to do it. No choice. You’ll never get your practice where it needs to be until you can routinely and confidently help your clients nail down their goals by using a variety of sophisticated trust-based planning techniques. You’re in the right place, pilgrim! If you’re looking for a group of fellow travelers and some information that’ll help you along the way you’ll want to sign-up here. For free, no less! On this site, you will find some great stuff. Make sure to take a tour of The BaseCamp . . . the best online learning opportunity for elder law attorneys anywhere. Bob Mason’s Medicaid and VA Benefits Planning With Irrevocable Trusts outline, considered by many to be the best out there, is yours for the taking. And you’ll always be able to go back for updates. Check out the podcast . . . it’s free. Advance notice of some other things we have up our sleeves. 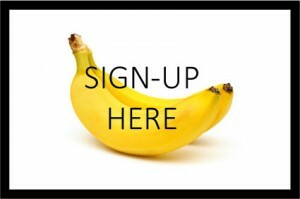 Sign-up (all we want is an email address) and have a look around.